In this comparison the device options between Cisco and Zoom are in complete contrast to each other. We see Cisco build the full stack from the device hardware and the software similar to Apples’ approach with the iPhone. On the other hand, Zoom creates the software while partnering with hardware device manufactures such as Logitech, Intel, and Crestron for example. Cisco has created a website called Project Workplace that showcases all of their video collaboration endpoints as well as conference room layout examples. 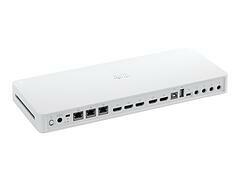 This is a great website for getting ideas and seeing all the different options from Cisco. 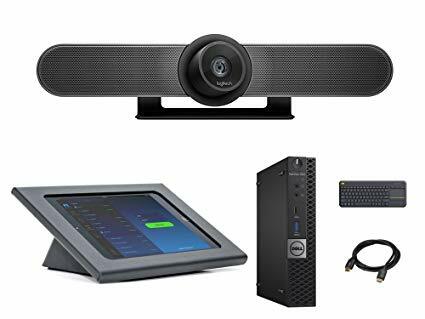 I will primarily be looking at the Cisco Webex Room Kits which are the Room Kit Mini, Room Kit, and Room Kit Quad Camera. All the Room Kits have built in speakers with the Camera. The Room Kit Mini and Room Kit both have built in codec’s for processing video while the Room Kit Quad supports either the Codec Plus or the Codec Pro. 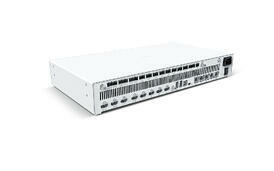 The Cisco Touch 10 is the control unit for all the different Cisco video endpoint. This makes user experience the exact same regardless if the room is small, medium, or large. When people feel comfortable with a technology, they are more inclined to use these collaboration systems. Plus the Cisco Touch 10 user interface is one of the most intuitive I have come across. What’s more you can pair multiple Touch 10 control units to a single video endpoint which is great for rooms that are very large. In stark contrast the Zoom Room software leverages commodity hardware such as a Windows Desktop or Apple Mac mini connected to a USB camera. This software approach allows for many unique and different setups. To enable customers, Zoom has provided hardware recommendations and even a packaged kit that you can purchase on Amazon. 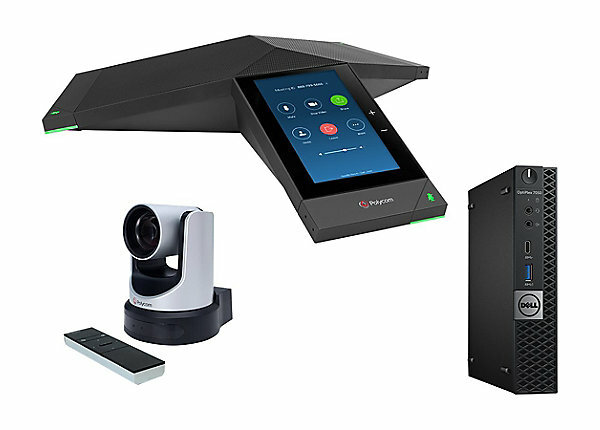 Here are a few Zoom Room recommended hardware options. You can find all Zoom Room recommended hardware at https://zoom.us/zoomrooms/hardware. When building a Cisco Room, it was easy and predictable. The Cisco Collaboration Endpoint (CE) Software is pre-installed on each new Room Kit and auto updates when registered to the Webex Cloud. The Room Kit supports Consumer Electronics Control (CEC) which will auto wake up a TV and set it to the correct video input. The cloud registration process to the Webex Control Hub is so easy that customers can get up and running in just a few minutes. 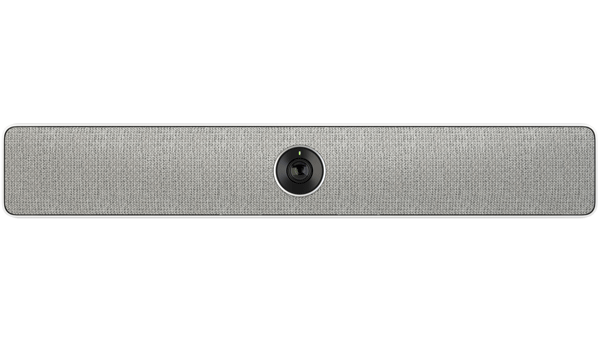 Cisco Room Kits offer users some of the best experience with 4K content, automatic framing with speaker tracking, and wireless sharing. Cisco has also been adding intelligence which they have branded Smart rooms. This includes features such as people counting to provide usage metrics and resource allocation reports. That it. 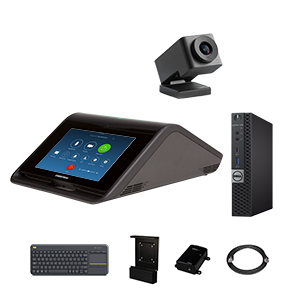 Just 2 steps in under 60 seconds and you have a working video Room Kit. 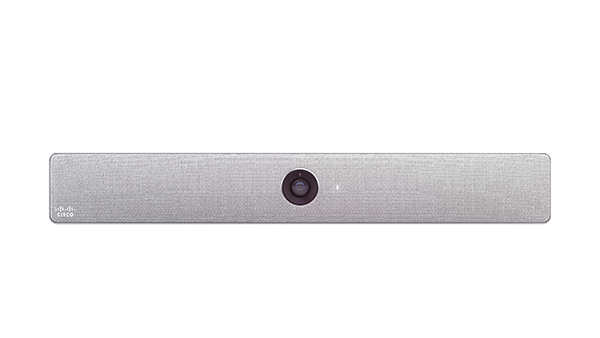 Advanced speech and face recognition that pinpoint who’s speaking in the room, allowing the camera to select the best framing for that person or group. It even tracks the active speakers as they move within the room. The Zoom Room Kits are a do-it-yourself model of various hardware components. Based on the recommended hardware I built the Zoom Room Small Kit that is packaged many places online. As of this writing, Zoom is no longer promoting this configuration. However, the only difference is that Zoom now is recommending the Dell Optiplex 7050 rather than the Intel NUC NUC5i7RYH. All the other components in the Zoom Room Small Kit is the same as the Zoom Huddle Room. After connecting all the components, I spent some time joining Windows 10 to the domain and configuring ACL’s on the network to allow for secure guest access. I also paired the iPad mini with the Zoom software running on the Windows 10 computer. A major complaint is when TV, computer, and or iPad go into power save mode the iPad would unpair with the Zoom app on the computer. The other noticeable difference was when clicking on the App from the iPad, it would not auto wake up the TV screen or set the correct video input. This is most likely due to not supporting Consumer Electronics Control (CEC). In closing, the Room Kit and Room Kit Plus video endpoints are some of the best I’ve used in the industry. People expect a video experience that is simple, reliable, and of high quality. 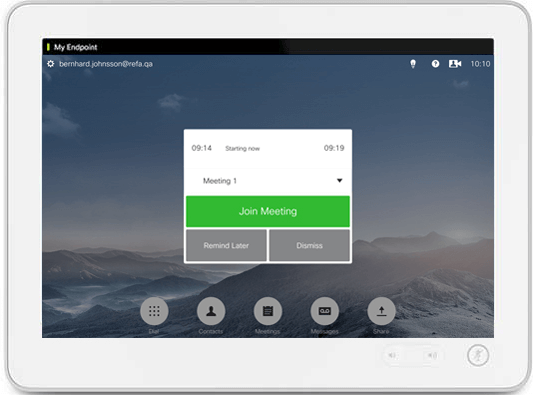 These new Cisco Room Kit devices with One-Button-to-Push (OBTP) and Cloud registration to Webex deliver on this user experience. In video, seeing is believing. If you would like to see either of these systems in action feel free to contact us.